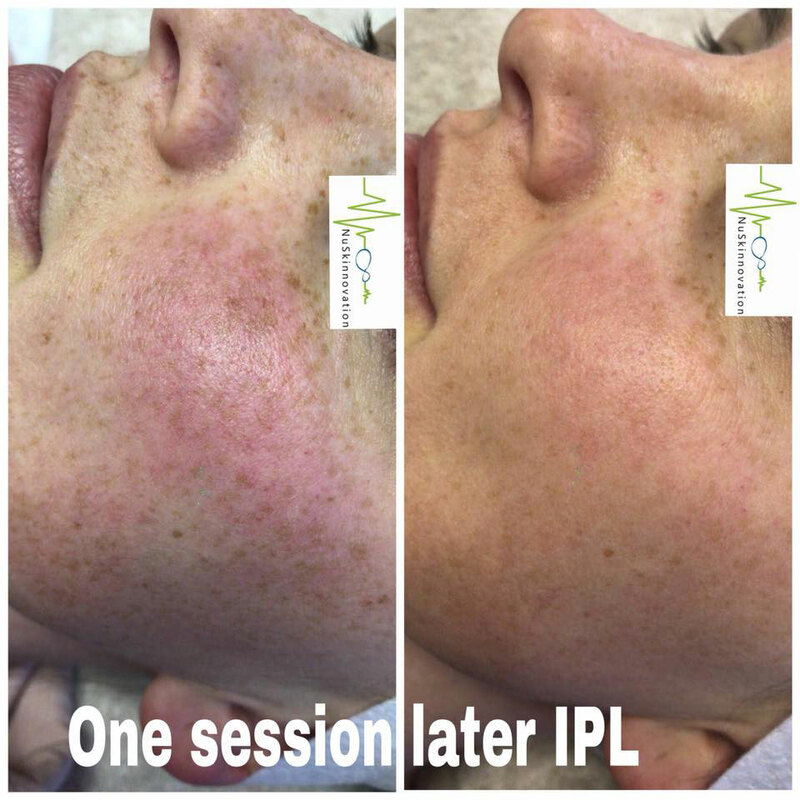 Intense pulsed light, or IPL, is widely used treatment when it comes to cosmetic dermatology. 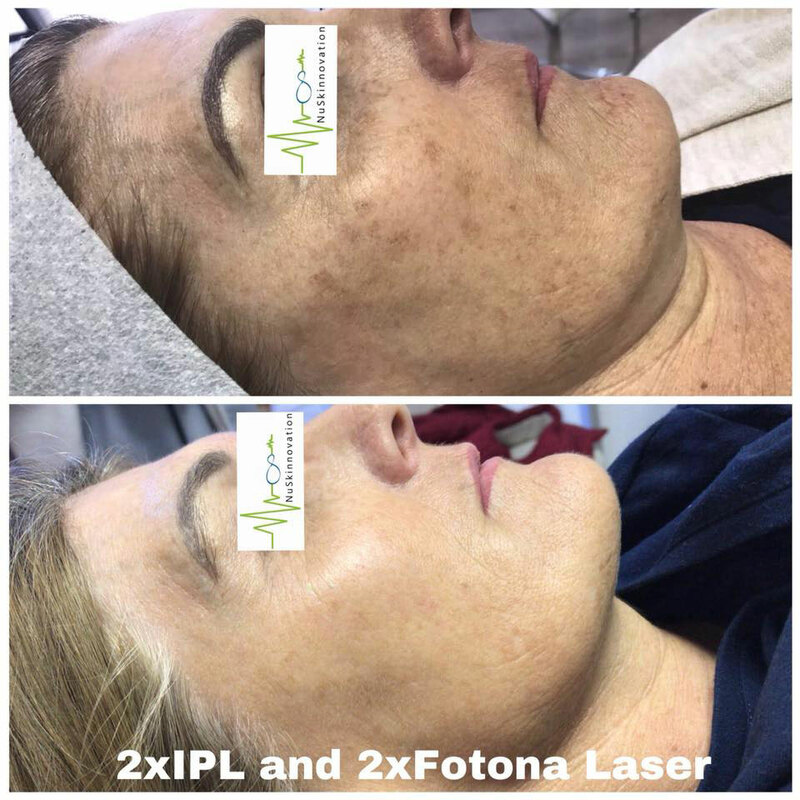 The light therapy procedure treats countless skin issues like uneven skin tone, wrinkles, blemishes, large pores, and redness. 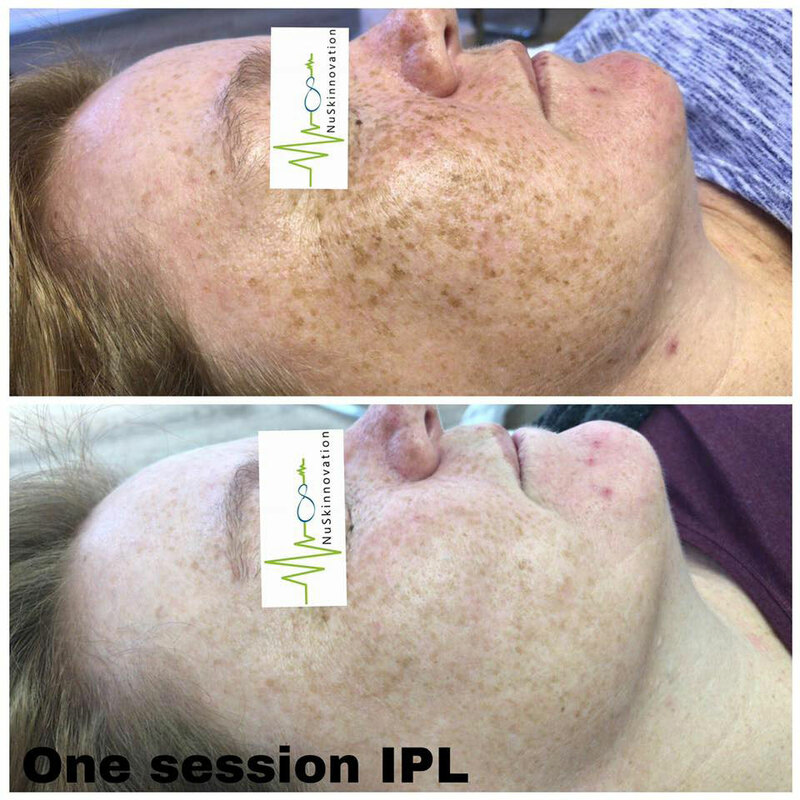 Intense pulsed light therapy is as simple as treating skin with a series of light pulses, customized to your skin’s needs. It can be used on the face, hands, or other areas of the body. 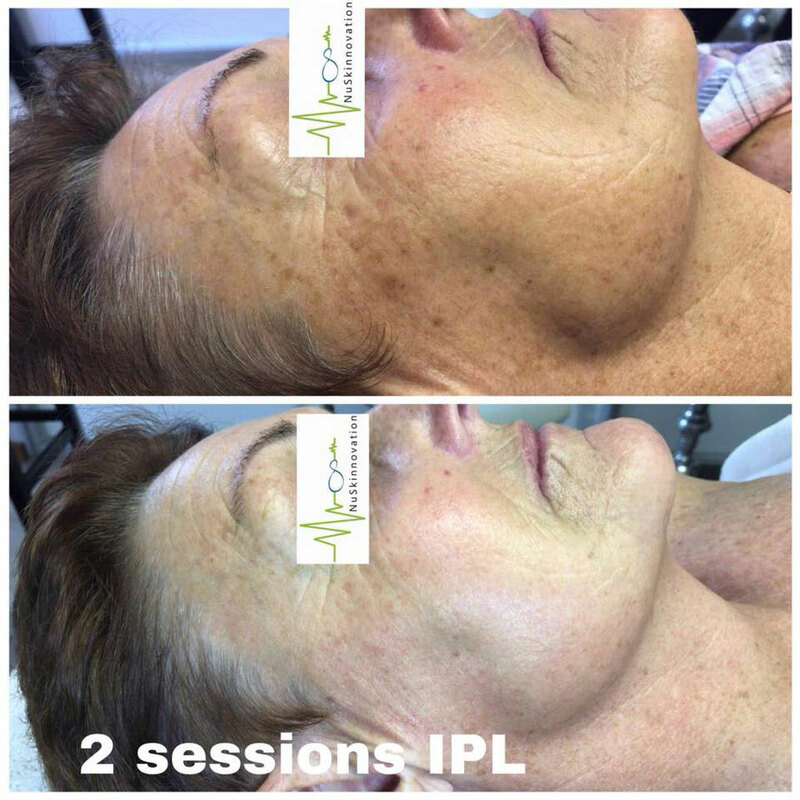 IPL is entirely non-invasive, requires no recovery time, and can improve your appearance for up to a year. 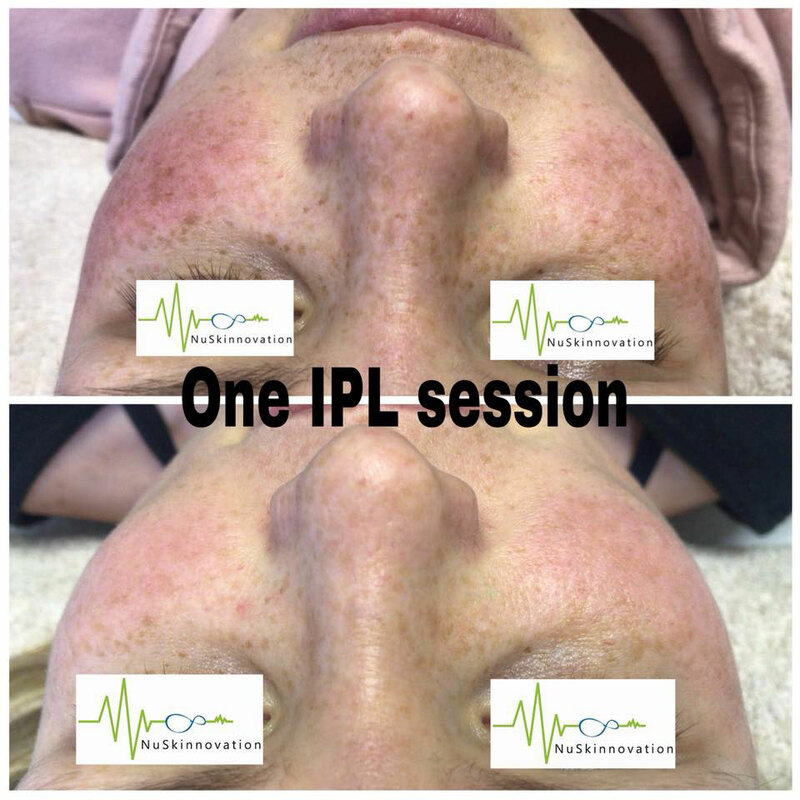 Intense pulsed light (IPL) is a technology used to perform various skin treatments for aesthetic and therapeutic purposes, including hair removal, photorejuvenation(e.g. 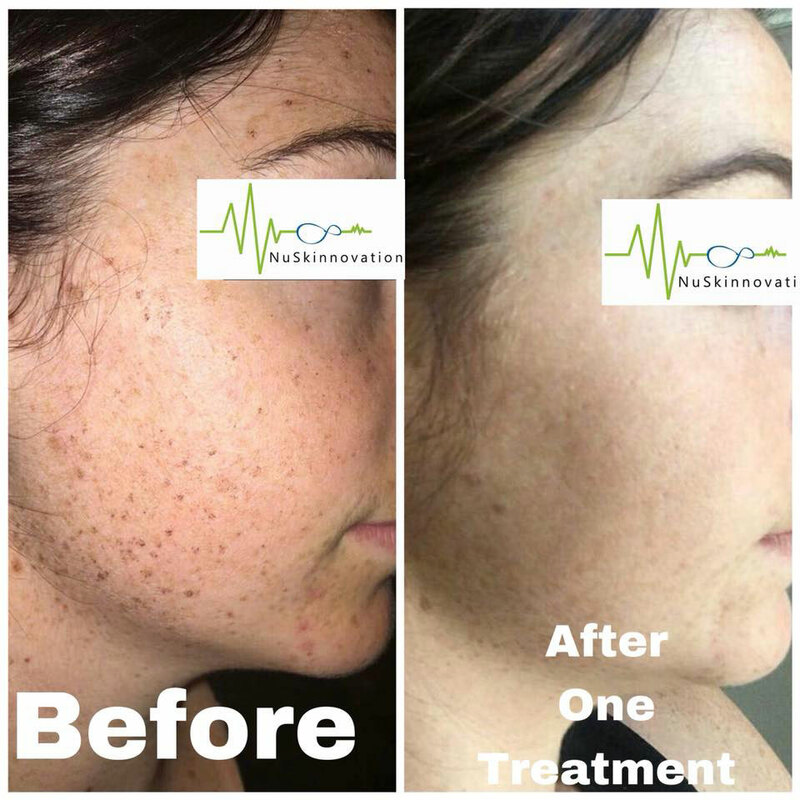 the treatment of skin pigmentation, sun damage, and thread veins) as well as to alleviate dermatologicdiseases such as acne. The technology uses a high-powered, hand-held, computer-controlled flashgun to deliver an intense, visible, broad-spectrum pulse of light, generally in the visible spectral range of 400 to 1000 nm. Various cutoff filters are used to selectively filter out lower wavelengths, especially potentially damaging ultra violet light. The resulting light has a spectral range that targets specific structures and chromophores (e.g. melanin in hair, or oxyhemoglobin in blood vessels) that are heated to destruction and reabsorbed by the body. 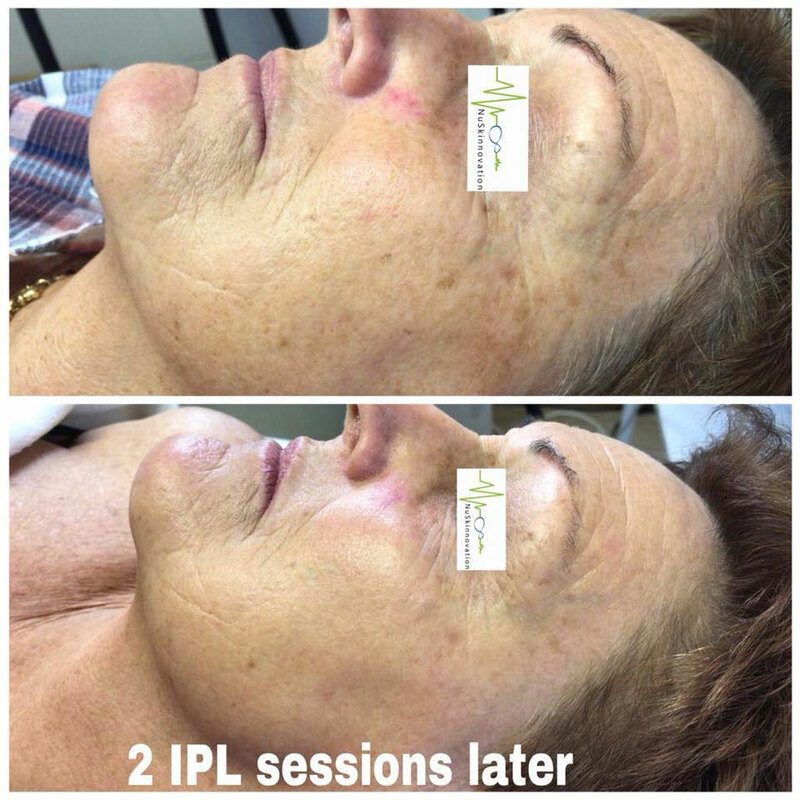 Wrinkle filler injections are designed to add volume and fullness to areas of skin that have deflated or creased with time and age. 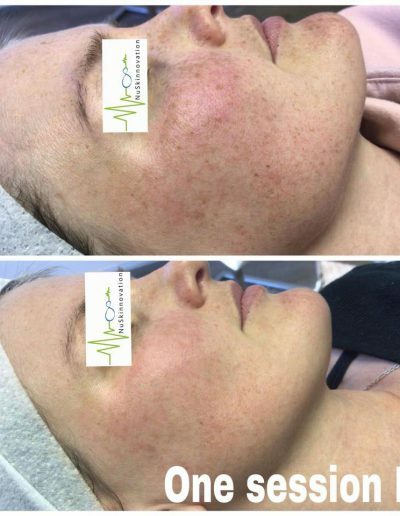 Top dermatologists use a number of fillers to accomplish this rejuvenation, based on a client’s skin care needs. 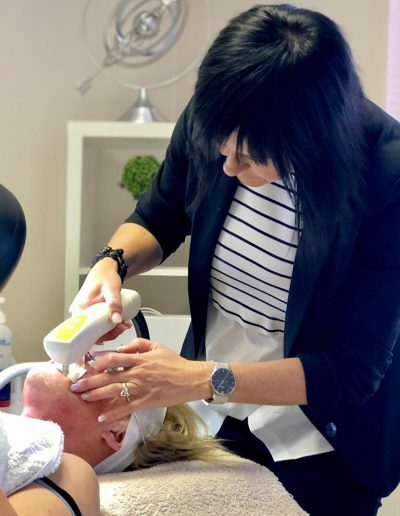 Some fillers are better for severe forehead wrinkles, for example, while others work best in different areas of the skin. 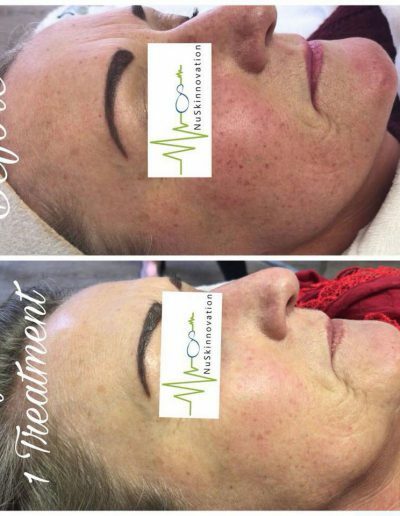 Wrinkle filler injections are not permanent – their effects last for about six months before you will need another injection treatment to restore smoothness and fullness. 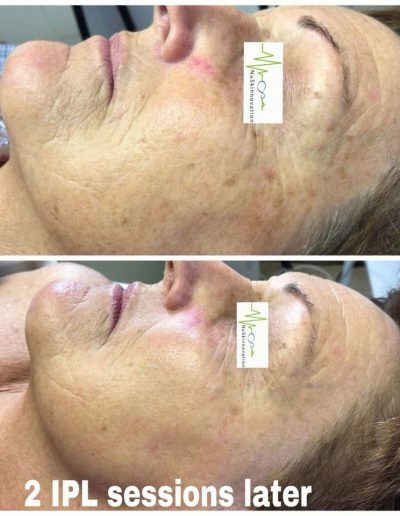 Botox® is a prescription medication and an alternative to wrinkle filler injections. 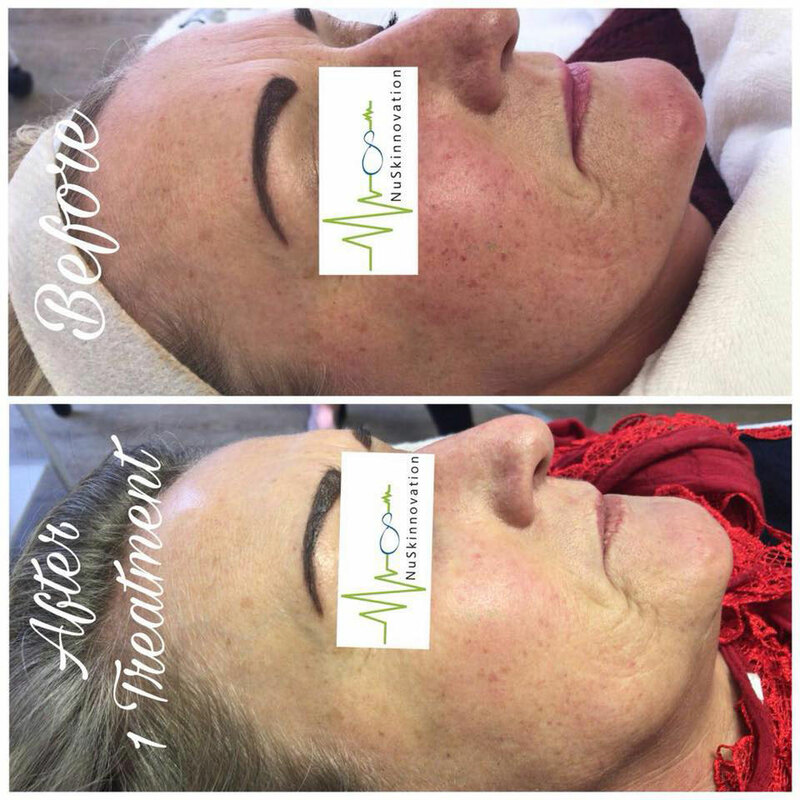 Botox® injections unlike filler injections improves the look of facial lines by temporarily paralyzing the muscles between the eyebrows, on the forehead, around eyes, or around the mouth. As a result, wrinkles appear to diminish. 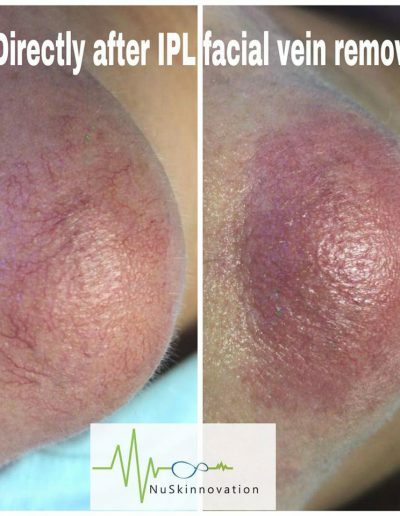 Like wrinkle filler injections, Botox® is not a permanent wrinkle solution. To maintain your youthful and wrinkel-free visage another injections are required within every three to six months. 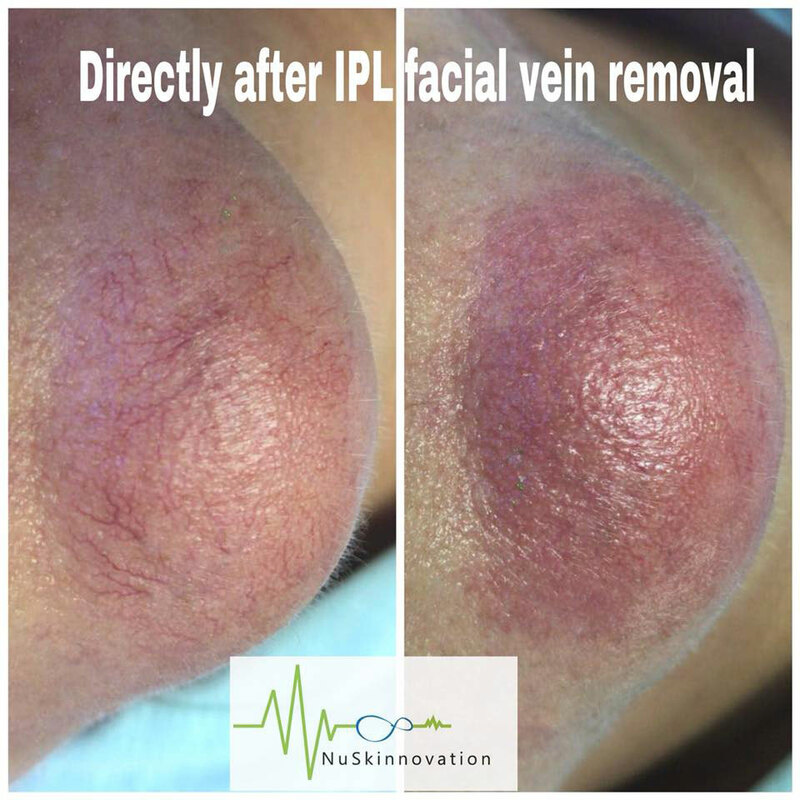 IPL (intense pulsed light) hair removal is a known permanent and affordable hair reduction procedure. 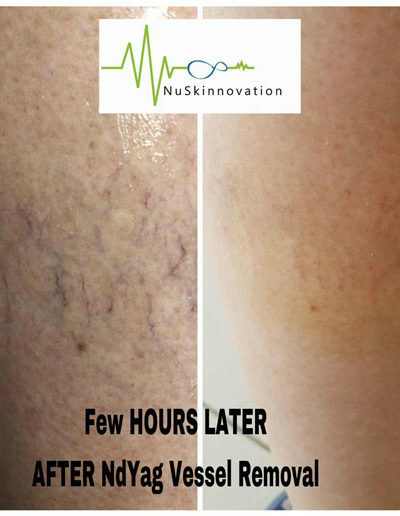 In some cases, depending on the strength of hair growth IPL hair removal has proved to be strong enough to permanently disable hair growth. 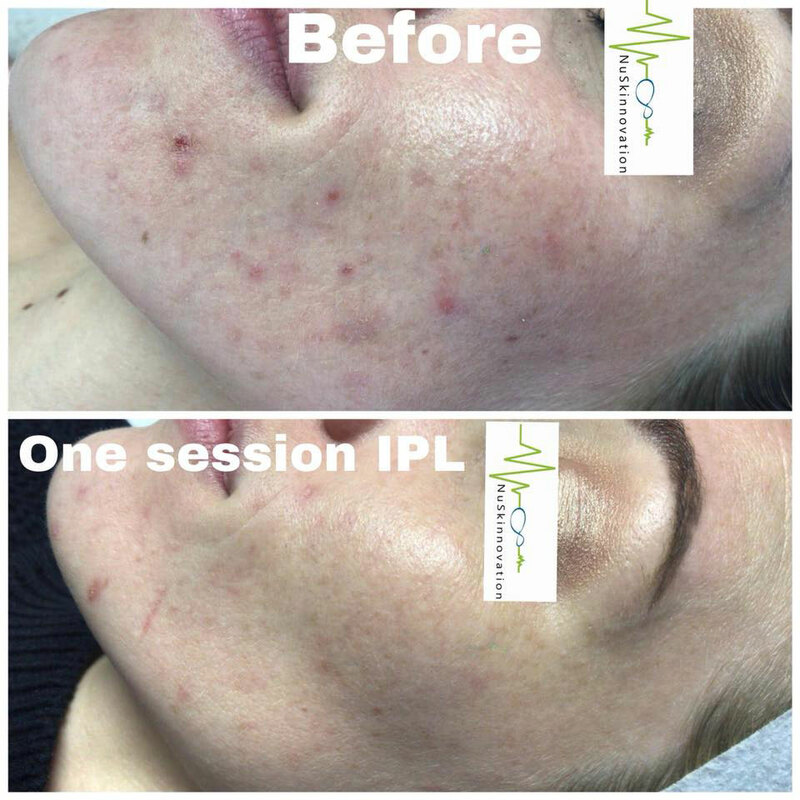 Our IPL system will leave your skin smooth and silky while gently removing unwanted hair. 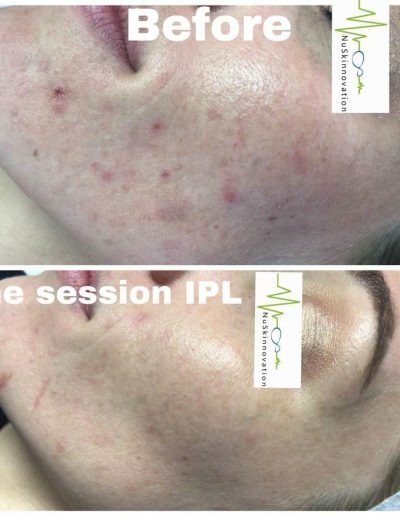 With IPL hair removal treatments there will be no need for frequent shaving or painful waxing. Anagen phase: The growing phase of the hair. During early anagen, new hair grows from the hair follicle, pushing out old hair from the hair shaft. 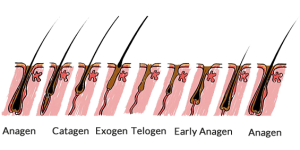 Catagen phase: The hair bulb is degraded, cell growth and melanin production stops, and the hair bulb is moved upwards to the skin surface. Exogen phase: The hair falls out of the hair follicle. 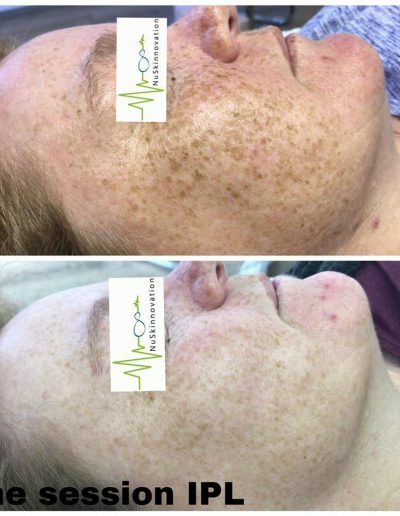 Telogen phase: The typical resting phase. The length of the telogen phase depends on the anatomical site. The interval between treatments depends on the growth cycle of the hairs in the treatment area. 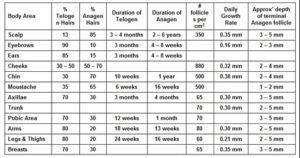 The longer the telogen (resting) phase, the longer the interval between treatments should be. 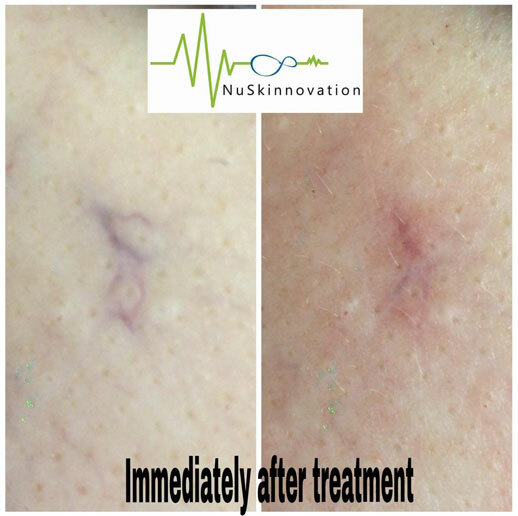 It is most efficient to plan the second treatment as soon as a large number of hairs are in the anagen or growing phase. It makes little sense to perform subsequent treatments before hair has re-grown. 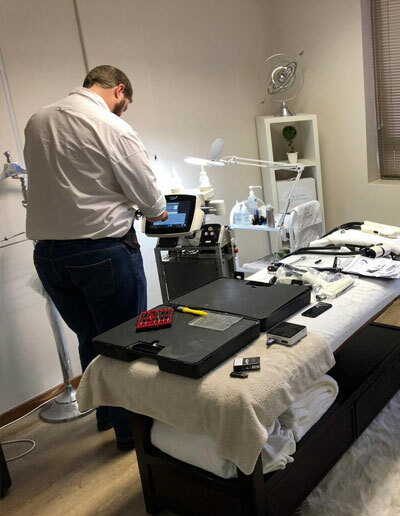 Note that treatments on male back are unlikely to give total success unless the patient is aged around 30-35 years or older. This is simply because until the age of 30-35 new hair will be created by hormonal changes, as part of the aging process. 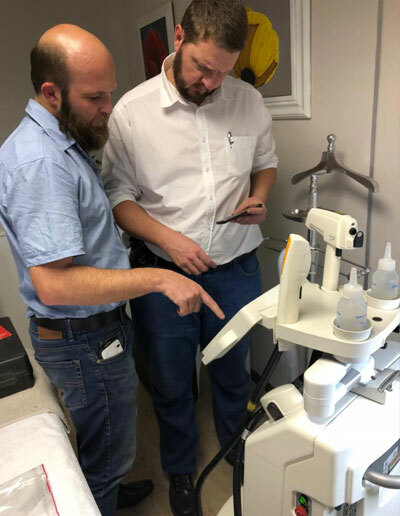 For male patients under aged 30 it is recommended to offer hair management, a treatment of the existing hair approximately 2 or 3 times per year. Patients on topical or systemic steroid medication or onn on-steroidal anti-inflammatory drugs (NSAID). 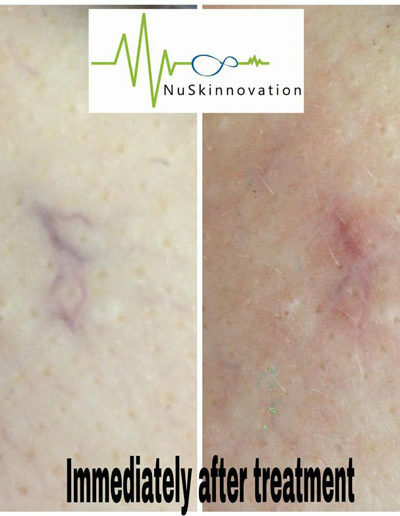 Ellipse treatments produce a desired low-grade inflammation. Steroids and anti-inflammatory drugs act against such inflammation reducing or negating the effectiveness of the treatment. 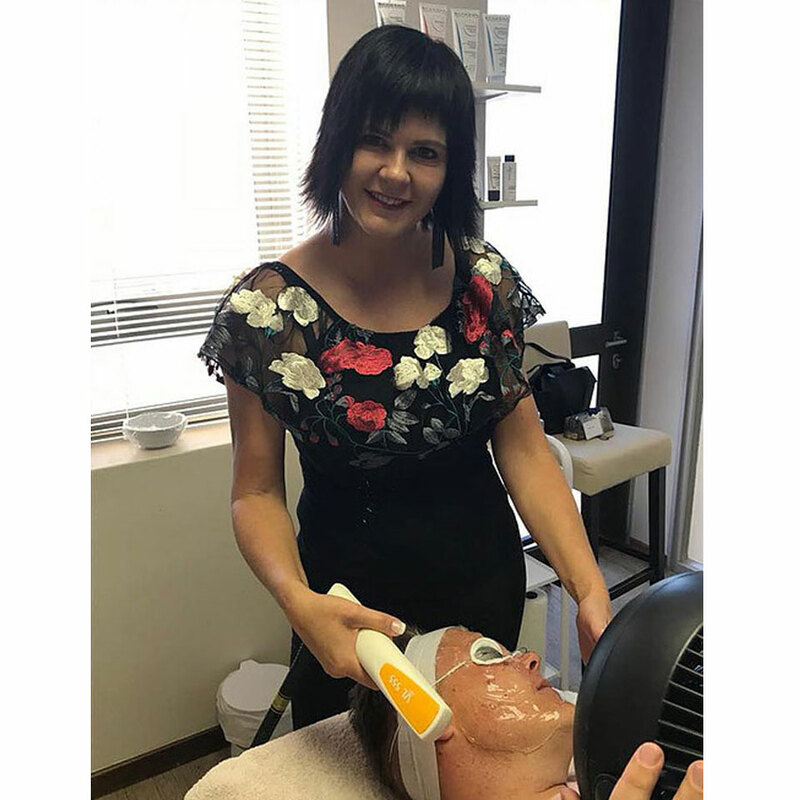 Patients with any disease or genetic condition causing photosensitivity to light with in the range of wavelengths emitted by the Ellipse applicator used, as this increases the likelihood of a burn or violent erythema. 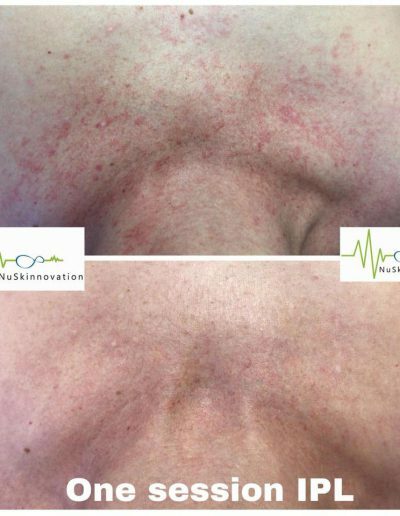 Patients undergoing treatment with any medication causing photosensitivity to light within the range of wavelengths emitted by the Ellipse applicator used, as this increases the likelihood of a burn or violent erythema. Note that some natural remedies such as St John’s Wort (Hypericum perforatum) cause photosensitivity. 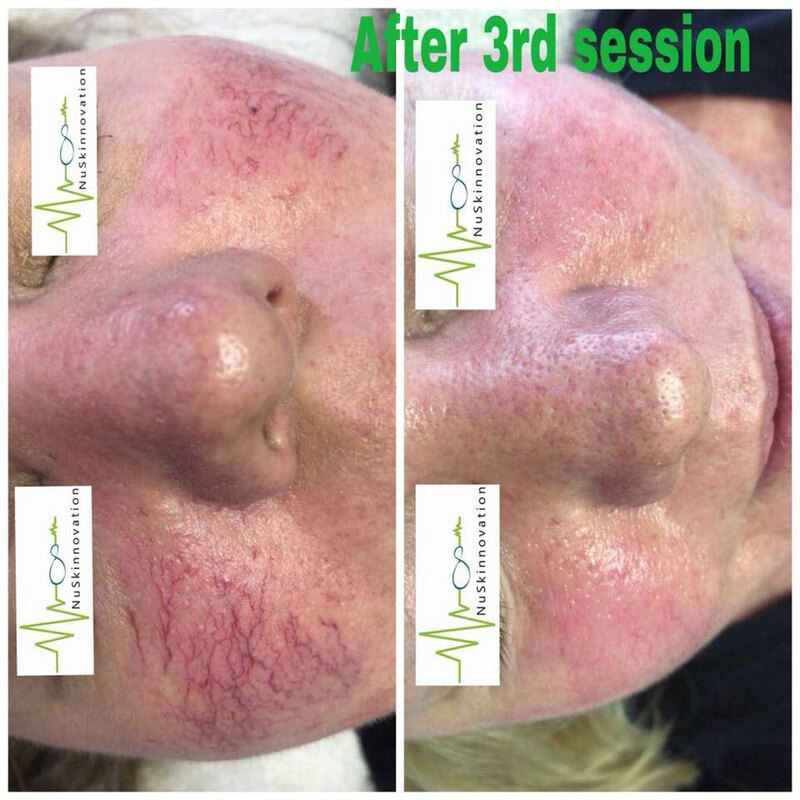 Patients undergoing treatment with anti-coagulants,as these increase the risk of bruising after treatment. Note that natural remedies containing Gingko biloba have powerful anticoagulant properties. Patients suffering from long term diabetes,as diabetes may affect the skin healing process. 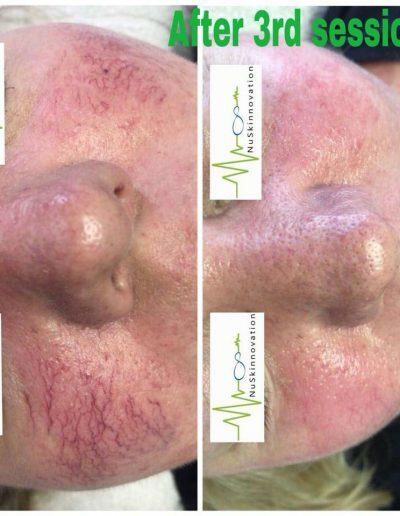 Patients suffering from haemophilia,or other coagulopathies (clotting disorders),as these significantly increase the risk of bruising during and after treatment. Patients tending to produce keloids or hypertrophic scars. 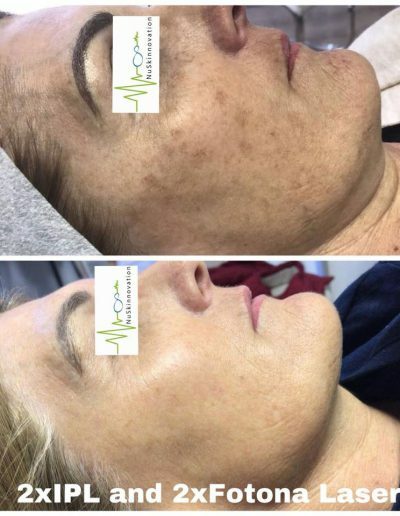 Patients with sun-tanned skin or fever. 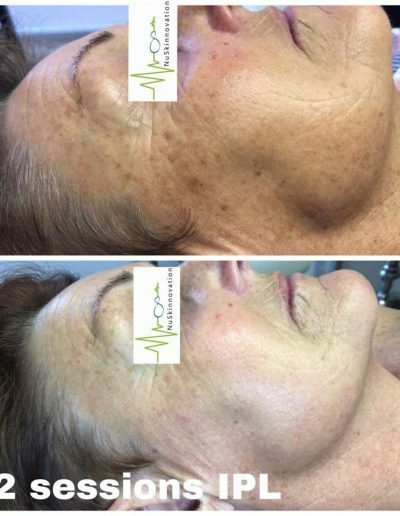 Patients who have received gold injections where there has been some leakage/spillage into the epidermis. This presents as an area of dark grey tissue which will absorb the light energy. 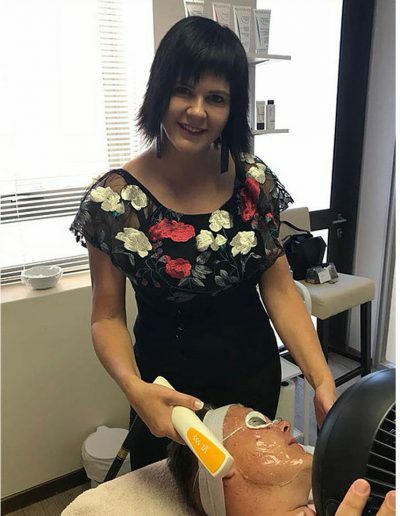 Permanent make-up (dark colours in particular) will absorb the light energy and the patient may feel a burning sensation (with burns in worst case). These areas will be covered with white paper. This is also the case if the patient has a tattoo. 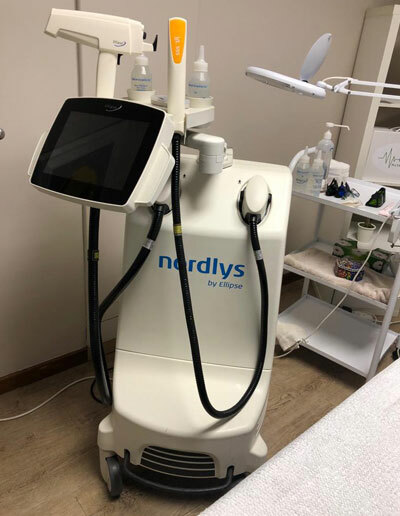 There are isolated reports of problems caused by treating over earlier fat injections and some fillers – so users should take extra care in treating of earlier fat injections, or over unknown fillers. Hair colour may be artificial. The patient may be wearing coloured contact lenses. 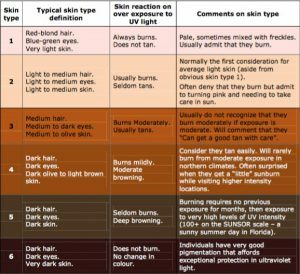 The apparent skin colour may be the result of cosmetics or sun exposure. The actual skin colour is better determined by parting the hair and examining the scalp, since hair normally protects the skin of the scalp from suntan. Ellipse grades the degree of suntan as: None; Light; Medium; Medium-Heavy; Heavy. 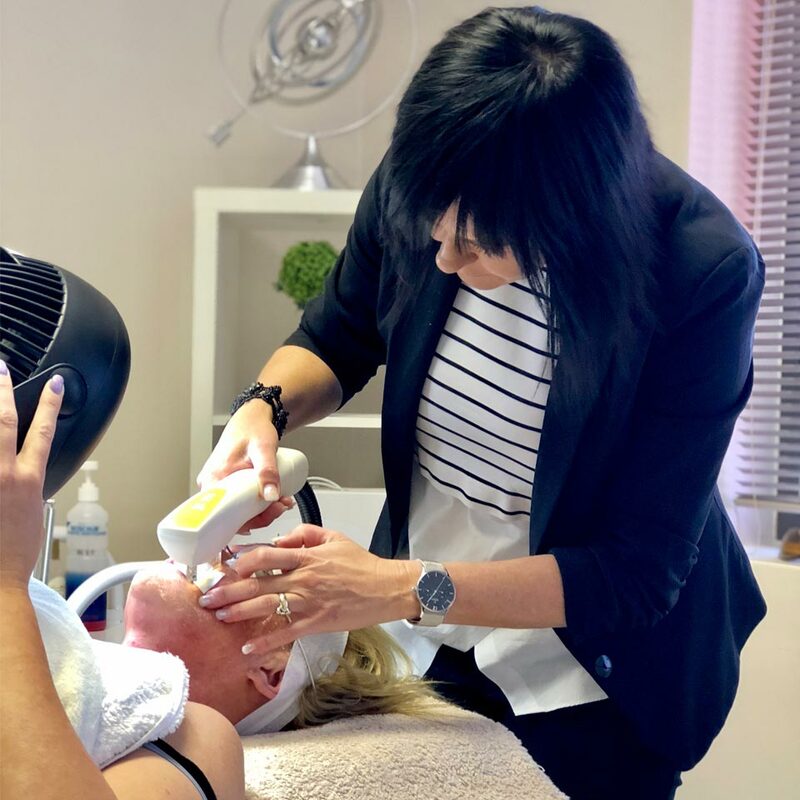 In the 30 days before and 30 days after treatment, clients should avoid the sun, or use sun-protection (SPF 50) when sun exposure is unavoidable. This is especially true for darker skinned clients, because sun-exposure increases the risk of post-inflammatory hyperpigmentation. 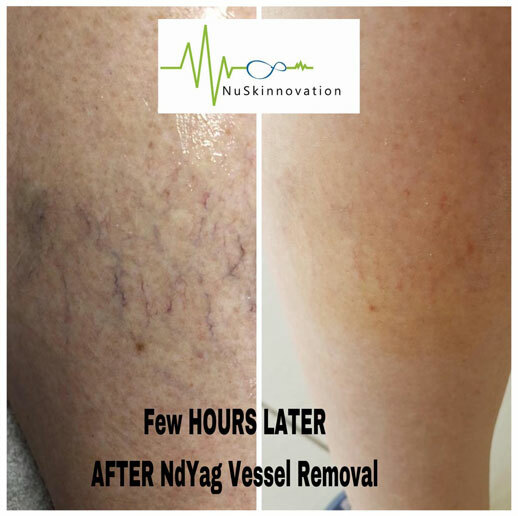 Limiting sun exposure in vascular treatments is especially important as recent exposure (especially exposure recent enough to still give a slight feeling of warmth) can cause significant problems as the warmth increases the size of blood vessels in the skin. This increases the amount of the chromophore haemoglobin present. In the 30 days prior to treatment,do not take solarium, sunbathe or use tanning sprays or a sunbed. 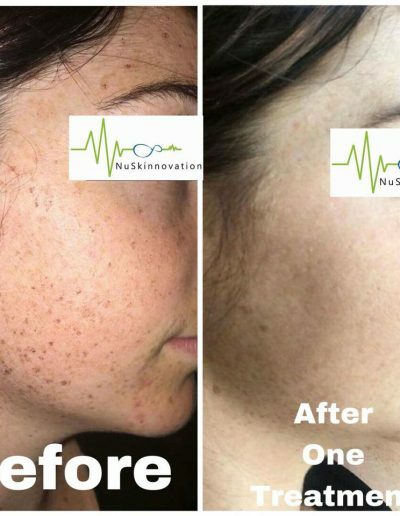 This will increase the level of melanin in the skin and make treatments more uncomfortable with an increased risk of side effects. 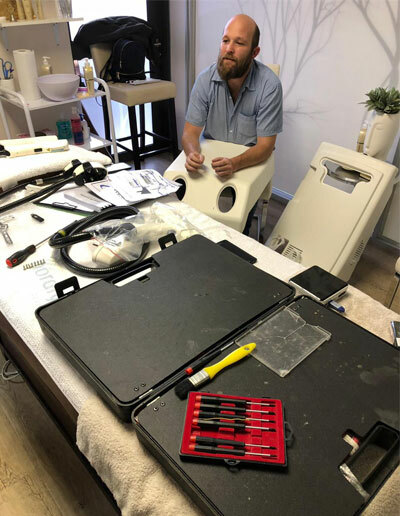 Put simply, light is just a form of energy, and all laser or intense pulsed light treatments use this energy to do work. The light travels in waves, similar to waves travelling on the surface of a pond. Visible and Infrared Light, used by all intense pulsed light sources and most medical lasers are described by their wavelength (nanometres). Microwave and Radio waves are described by their frequency (Hertz). 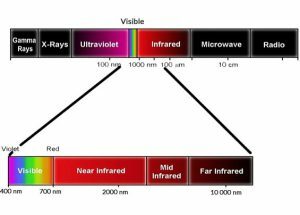 Lasers and intense pulsed light sources mainly use the visible to near infrared part of the spectrum (Fig 10), with wavelengths from 400 nanometres (nm) to 1 200nm. 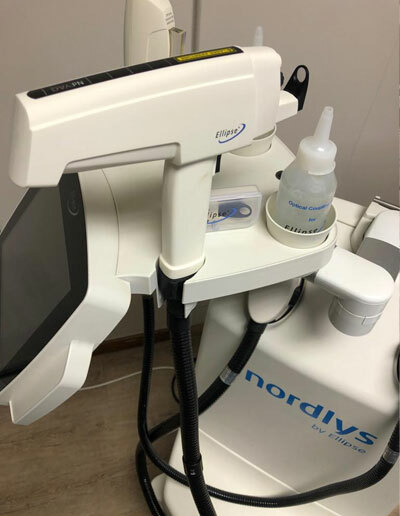 There are exceptions such as the CO2 laser (10 600nm) and Er:YAG laser (2 940nm). While light travels in waves, the waves are made up of “particles” of light called photons. Whenever a photon is absorbed, its energy is changed into heat (photothermolysis), and this absorption of light energy is the basis for all light/tissue interaction. Light energy delivered to the skin is measured in Joules and is best expressed as the energy delivered to a certain area (also called the fluence) measured in J/cm . The length of time that the light is exposed to the skin is called the pulse duration, and is measured in milliseconds (ms). 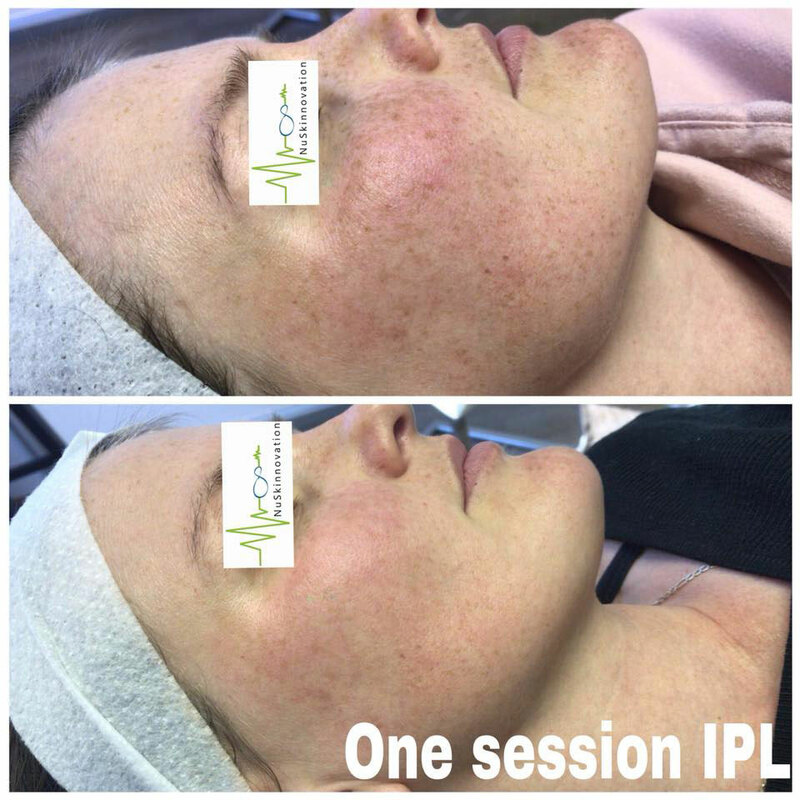 The light emitted by IPL systems is not one single wavelength, but covers a spectrum of different wavelengths. By using different filters it is possible to allow through light that matches the requirements for different treatments, so that one system can be used for more than one application. Melanin (found in the epidermis,hair and hair follicles). Oxyhemoglobin + haemoglobin (found in the blood). Protoporphyrin is also capable of selective light absorption. This chemical is produced naturally in quite low levels, and in much higher levels by the acne bacterium P acnes. 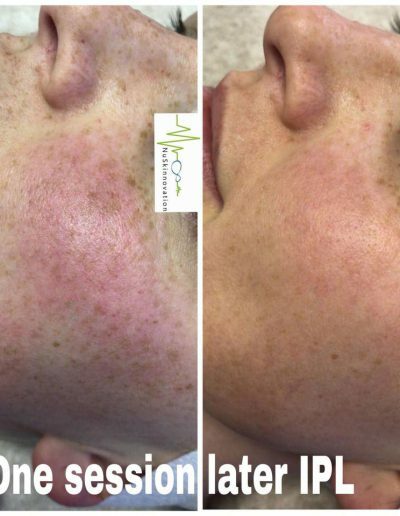 The levels of protoporphyrin in non-acne skin can be heightened by the introduction of the chemical 5-ALA into the skin. Absorption by protoporphyrin will be discussed later. The degree of absorption by each chromophore depends on the wavelength of the light used. The penetration depth of the light into the tissues also depends on the wavelength. Longer wavelengths (600 – 1000nm) penetrate deeper into the tissues, but wavelengths above this figure are predominantly absorbed by water in the skin. Penetration depth of the light into the skin can be compared to the depth that sunlight penetrates into water. At a low depth of water, all colours can be seen, but the deeper one dives, the less light penetrates and a colour change is observed. 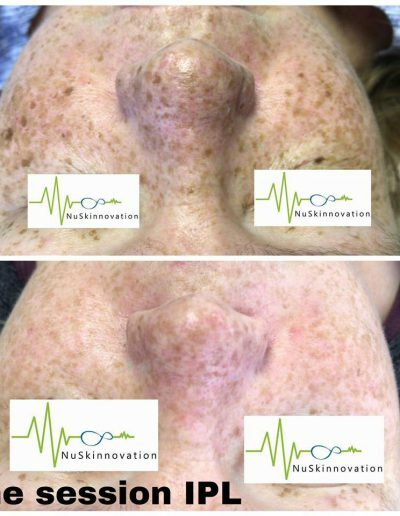 Light entering the skin will only have an effect when it is absorbed by a chromophore and converted into heat. The biological effect following absorption is dependent on the temperature achieved. When light is absorbed, all chromophores present are heated. Heat loss begins immediately, as heat is conducted to all adjacent tissues. The rate of the heat loss varies according to the thermal relaxation time (TRT) of the tissue. The TRT is defined as the time it takes for the tissue to cool down to the ambient temperature following heating. Large objects cool more slowly than small ones. Additionally, the Thermal Damage Time (the time taken to destroy a target) increases with the size of the target. How warm the target becomes depends on the active heating of the chromophore as it absorbs light energy and the passive cooling as heat is conducted of heat to the surrounding tissue. The overall effect of damage to tissue in response to the absorption of light is called photothermolysis. 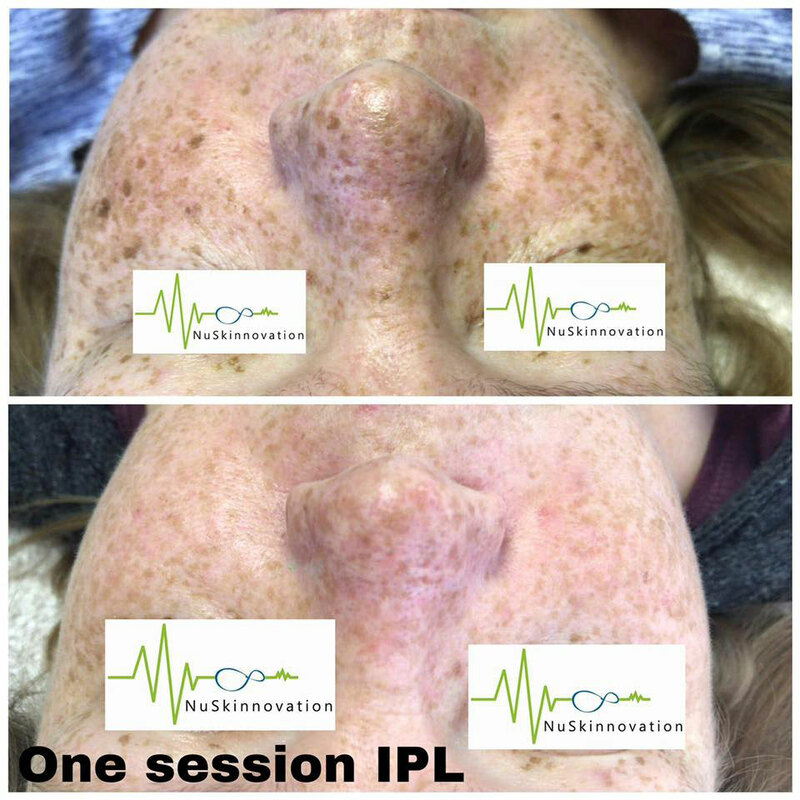 The aim of selective photothermolysis is to selectively heat up and destroy a specific target without damaging the surrounding tissues. To achieve selective photothermolysis three parameters must be controlled: ● The wavelength (or waveband) of the light is selected so that the light energy is absorbed by the chosen chromophore. ● The duration of the light pulse is selected to ensure the target is lethally damaged with minimal conduction of energy into the surrounding tissue. ● The right energy level is chosen to create enough heat to lethally damage the target within the given pulse time. By controlling these three parameters, selective destruction of the target chromophores can be achieved without injuring the surrounding tissue. 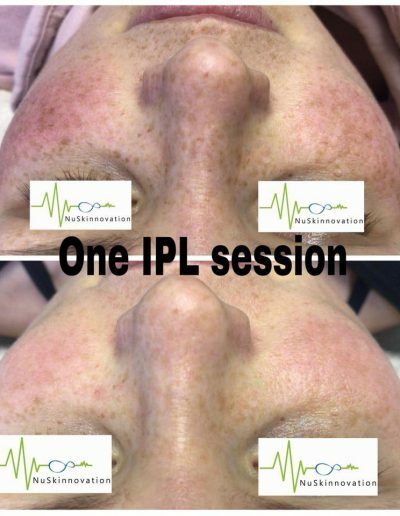 The xenon lamp of an IPL system emits a wide spectrum of different wavelengths at the same time (from approximately 240 – 1200nm). This light is then filtered to match different applications. Two different types of filtering can be distinguished:● Single mode filtering as used in the first generation intense pulsed light systems. These systems use a coloured filter to remove energy below a given wavelength (on the left side of the absorption curve). Depending on the type of filter the emitted light typically starts somewhere between 510 and 720nm and goes up to 1200nm. Ellipse dual mode filtering uses filters on both sides of the selectively emitted wavelength band to remove wavelengths below and above a chosen range. Shorter wavelengths are stopped using a coloured filter (selected by the choice of applicator to be below 400, 530, 555, 600 or 645nm). Longer wavelengths are removed by passing the light through water (before it reaches the skin surface) to filter out all wavelengths above 950nm, which otherwise would lead to unspecific heating of the epidermis and increase the risk of adverse effects such as burns.Water filtering is effected by circulating cooling water around the flash lamp and the filters in the hand piece of the Ellipse system. 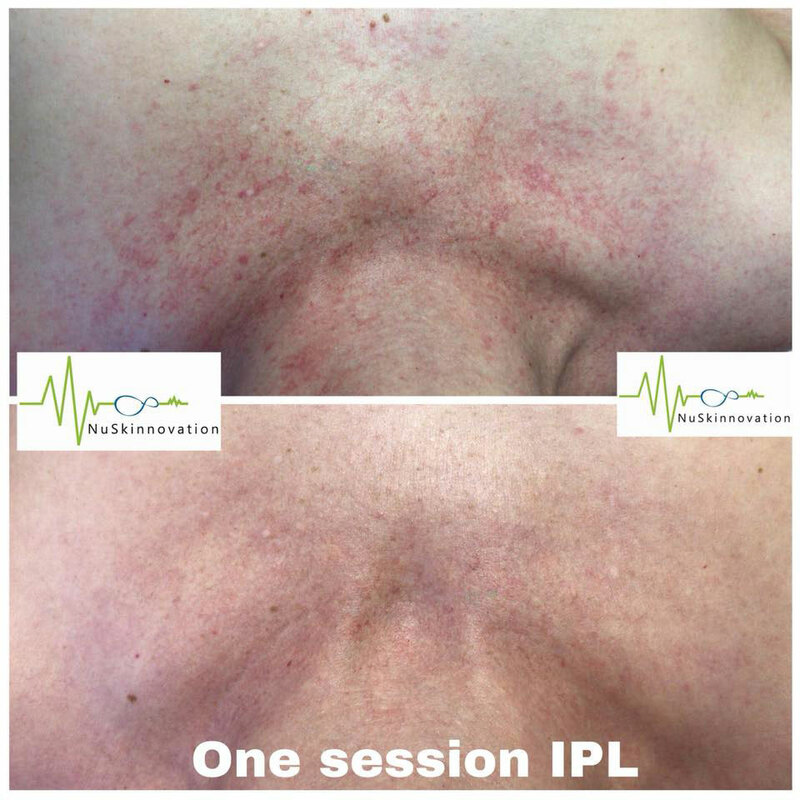 For selected applications additional filters at 720nm or 750nm are used to remove light above these wavelengths.Since Ellipse Intense Pulsed Light products can be used to treat a range of conditions, the light waveband used is determined by the targets you wish to treat.